The mission of Longwood Elementary school is to foster an inspirational learning environment that encourages perseverance while providing opportunities to create, collaborate, and communicate. 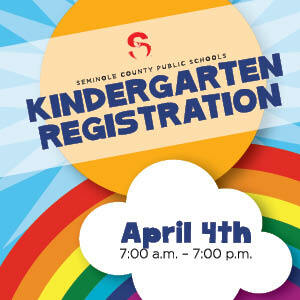 Seminole County Public Schools (SCPS) will hold Kindergarten Registration for the upcoming 2019-2020 School Year beginning on Thursday, April 4, 2019. On that date, all SCPS Elementary Schools will be open from 7 a.m. to 7 p.m. to accept registrations in their front office. After that date, families can register their future SCPS Kindergartners at their zoned Elementary School during normal front office hours. Click the links below for Registration information and forms. If you are in the process of moving, please notify Mrs. Carol Howle as soon as possible at 407-746-5257 or carol_howle@scps.us. The front office is opened Monday through Friday from 7:30 A.M. - 4:00 P.M. According to Section 1008.22(7) (c), Florida Statutes (F.S. ), and State Board of Education Rule 6A-1.094224, Florida Administrative Code (F.A.C. ), each school district must complete the state uniform calendar with district-required assessment information and publish the calendar to the district website and each school's website prior to October 1. Please click the HERE for SCPS 2018-2019 Uniform Statewide Assessment Calendar.